Plans to move the Gaelic school in Edinburgh are to go to an informal consultation at the start of the new year. 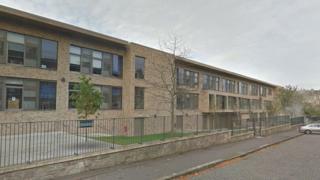 The proposal is for the school to move from James Gillespie's High to Drummond Community High. School roll projections for James Gillespie's suggest it will have issues accommodating pupil intake in the future. Drummond Community High is near Bun-sgoil Taobh na Pàirce primary school. It has been suggested that resources could be shared between primary and secondary if they were close to each other. A detailed draft statutory consultation paper could be submitted to the education, children and families committee in March 2018. Ian Perry, City of Edinburgh Council's convener of the education, children and families committee, said: "We must act soon to deal with the future capacity issues at James Gillespie's and opening up discussions on the future of GME is the start of the process. "Analysis of our high school estate has identified Drummond as a suitable choice as it is currently under capacity. "Having the additional pupils at the school could also improve the curriculum choice on offer to pupils there. "Another benefit is with Bun-sgoil Taobh na Pàirce located nearby this presents an ideal educational opportunity for resources to be shared between primary and secondary GME." The latest school roll projection figures show that by 2021 James Gillespie's, which has a capacity of 1,300, is estimated to have 1,537 pupils. Drummond, with a capacity of 600, is estimated to have 418. At the same time Bun-sgoil Taobh na Pàirce will be nearly full to its capacity of 424.